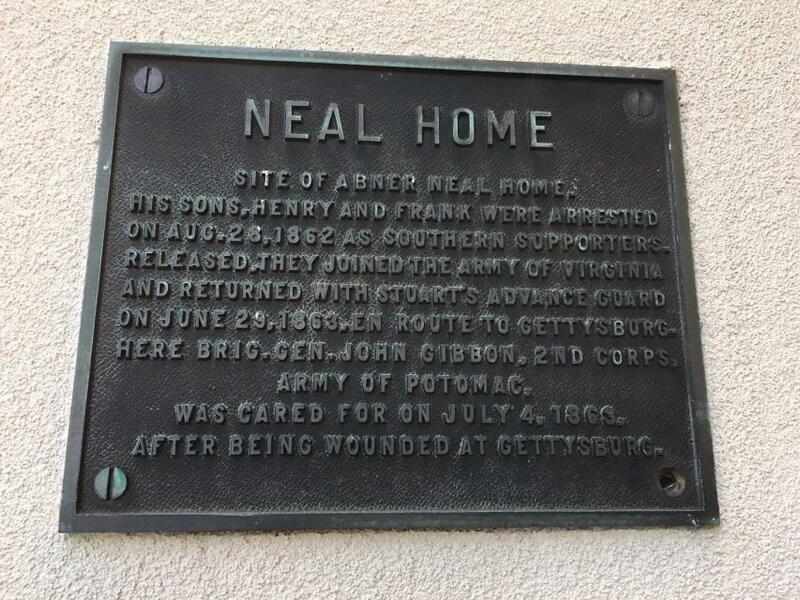 Site of Abner Neal home. His sons, Henry and Frank, were arrested on Aug.28, 1862 as Southern supporters. Released, they joined the Army of Virginia and returned with Stuart's advance guard on June 29, 1863, en route to Gettysburg. Here, Brig. Gen. John Gibbon, 2nd Corps, Army of the Potomac, was cared for on July 4, 1863, after being wounded at Gettysburg. This marker can also be identified by its HM code. 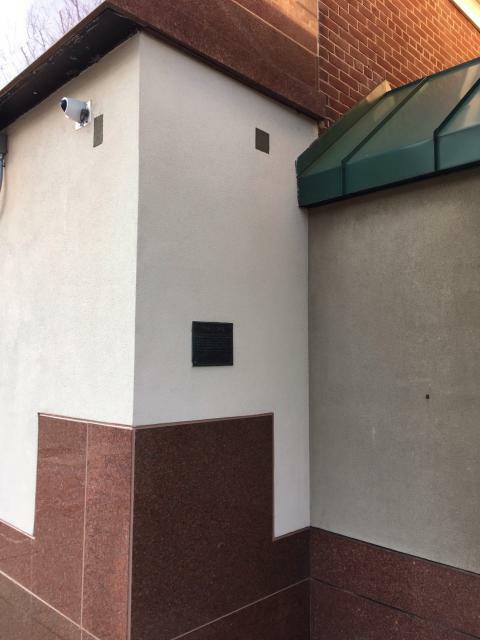 You can use the hashtag #tmp-9aaf3 in tweets, and any other place where you might refer to this marker, including when searching on this site.